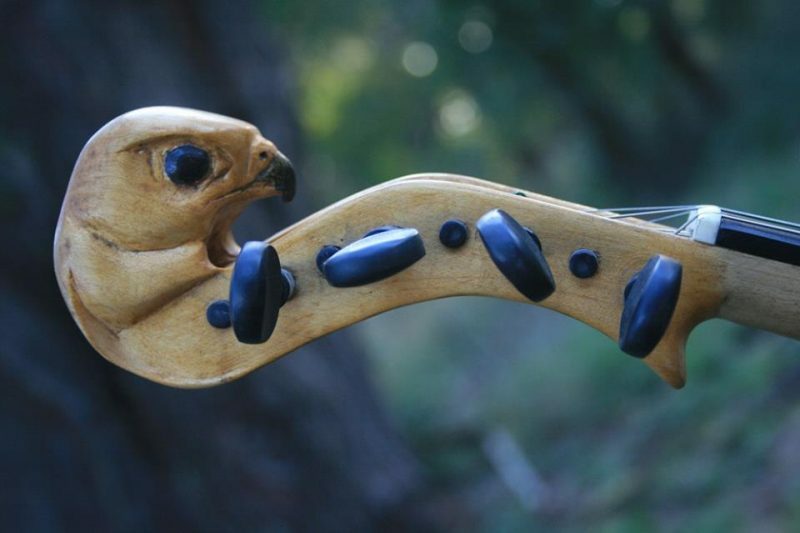 Martin Scuffins is a maker of Hardanger fiddles, in Ballarat, Victoria. 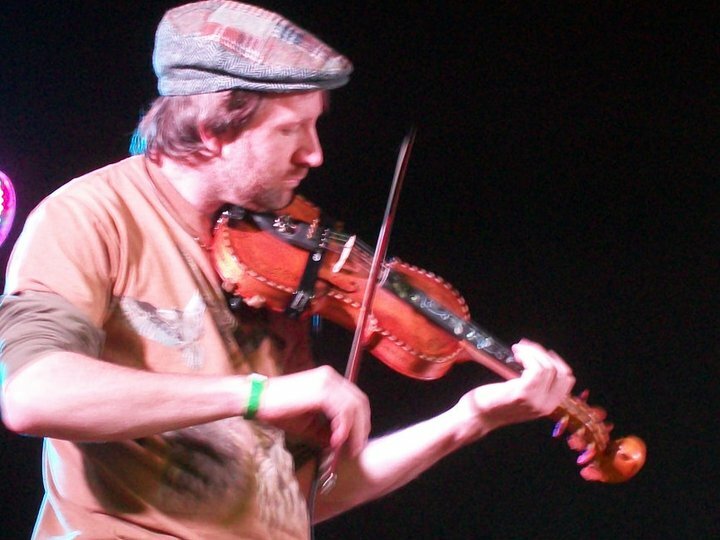 He constructs fiddles by hybridising the bodies of instruments that would otherwise be beyond economic restoration. To these he adds a newly carved maple neck and pegbox. As with the traditional instrument of Norway, these Hardangers are fitted with ‘sympathetic’ strings which resonate in harmony with the played strings. Martin’s hybrids are a wonderful practical alternative for the practicing fiddler looking for an instrument with a very rich tone and haunting sound. The scale length, strings and tuning of the over strings are the same as a standard 4/4 violin. Authentic Hardanger fiddle strings can be fitted as an optional extra. These are traditionally tuned up a half or full tone above standard pitch. 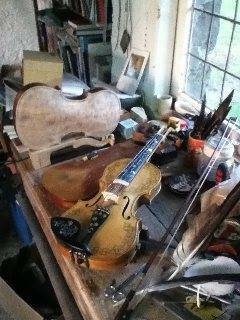 Martin’s Hardangers are lovingly decorated and finished with his own home made spirit varnish. As Martin is also a wildlife artist, and cares for injured birds of prey, he sometimes foregoes the traditional Norwegian ‘Lion’ scroll of the Hardanger fiddle, instead carving birds or animals such as the falcon. 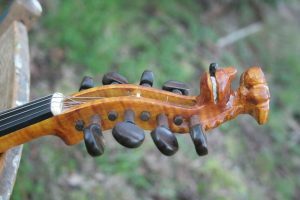 On average he currently makes 1 – 2 instruments per year, squeezing his Hardanger making between other violin repair and restoration work as well as his wildlife art. 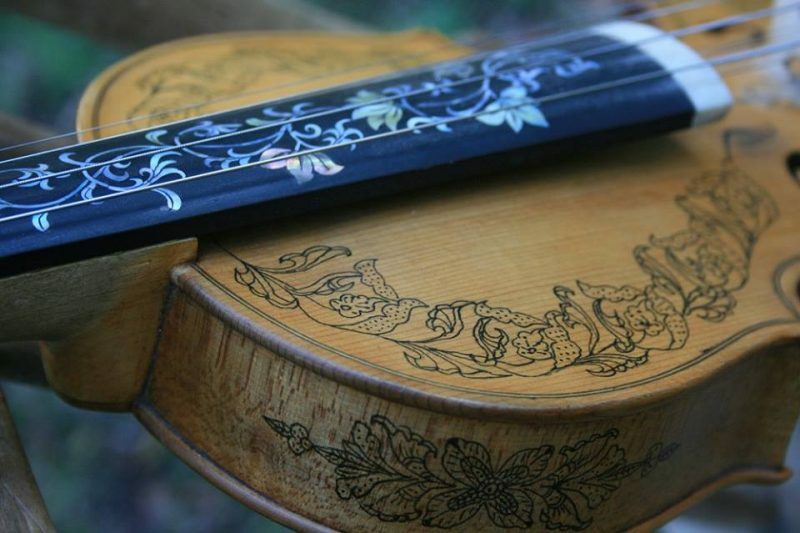 Martin Scuffins is a maker of Hardanger fiddles, in Ballarat, Victoria. 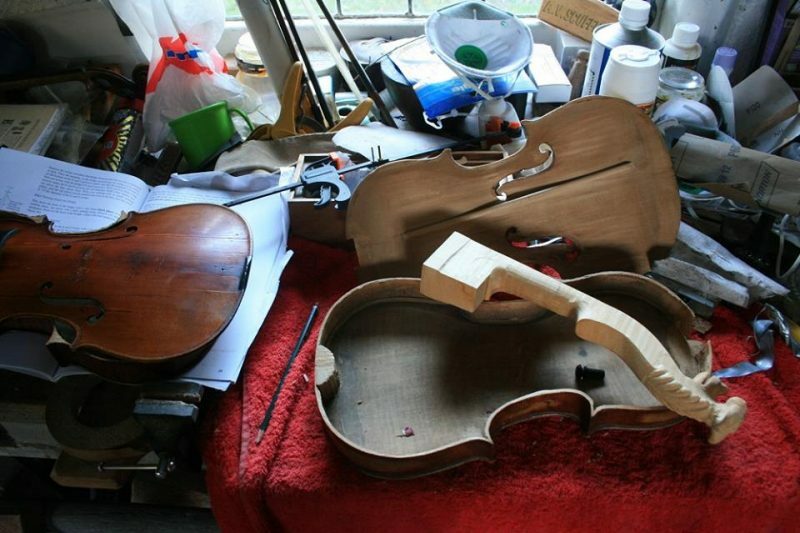 He constructs fiddles by hybridising the bodies of instruments that would otherwise be beyond economic restoration. To these he adds a newly carved maple neck and pegbox. "... these Hardangers are fitted with 'sympathetic' strings which resonate in harmony with the played strings."